Stop your hair loss and grow a little, too! 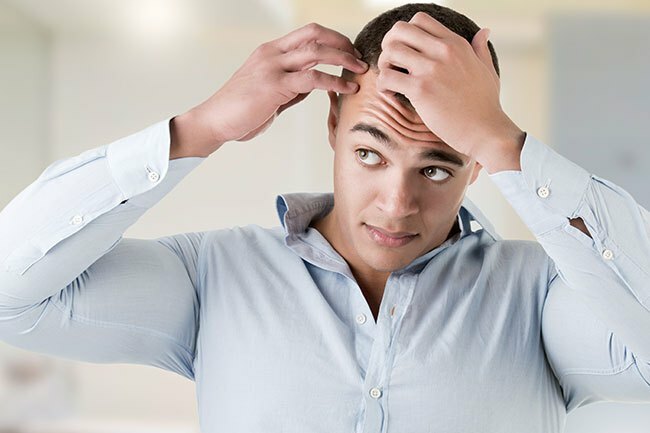 Millions of men and women suffer from hair loss that's started as early as 18! If you use laser therapy, you can slow down, even stop - your genetic hair loss. The FDA-Cleared Capillus 272 portable, rechargeable laser fits discreetly under any cap or hat. Lightweight and completely portable, the Capillus 272 can be used anywhere….at home while watching television…at the gym…even while driving on your commute. 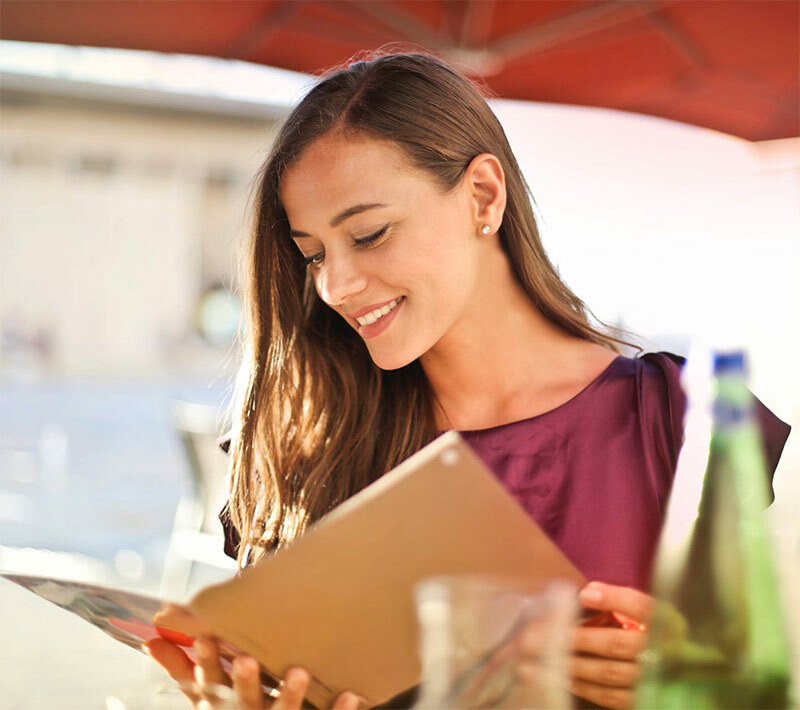 The Capillus laser program is supervised by a physician. The device is designed to be worn 30 minutes, every other day for maximum results. That's right, it's as simple as wearing a laser cap a few times a week! Stop your hair loss today! We even have financing options available! If your hair loss is due to heredity, the Capillus laser therapy may be a great treatment option for you! Just as light makes plants grow, it helps hair regrow. Low-level laser therapy is based on the biological effects of photobiomodulation in living organisms and has been shown to be effective in stimulating and energizing the cells within the hair follicle to give you thicker, fuller hair - and keep the hair you still have! Men and women who have thinning hair - unlike hair transplant surgery, age is not a factor for laser therapy. You can be 22 or in your 70s! In order for laser therapy to work, it must be used regularly. You must be willing to wear the laser cap for 30 minutes, a few times a week. 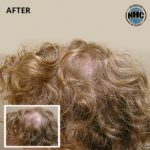 The laser therapy works best for individuals who have at least some hair. 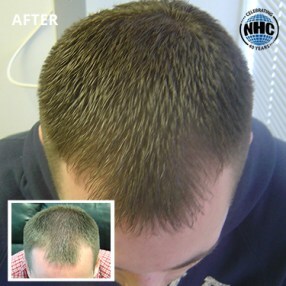 If you are completely bald a hair system might be a better choice for you. 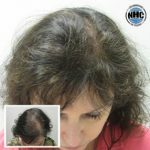 I was experiencing hair loss because of illness and surgery. I met with consultant Gene who was very professional and knowledgeable. He explained the options I had to help with my hair loss. I choose the low light laser therapy cap and it has done wonders. My hair is healthier and looks and feels fuller. What a difference. A big thanks to Gene G.
I have recently had the honor of being taken care of by the amazing staff at NHC. After two years of struggling with treatments, life stressors including death of my sister, loss of our home and divorce… Needless to say, no way to grow hair…so Sean suggested a hair system. I got it 9 days ago and it has been life changing for me! I feel amazing and gorgeous for the first time in my life. Skylar is a true artist and the whole team is simply wonderful! Thank you NHC! Laser therapy reverses the process of hair loss. It's safe and effective for treating hair loss due to heredity. 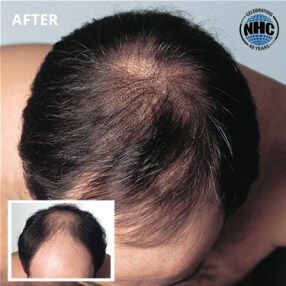 It treats thinning hair and balding. Nurtures fuller, healthier looking hair. The cap can revitalize damaged hair, including hair that's been damaged by extensions. It's easy to use and has no known adverse side effects!